對於倉庫檢查指導方針尼日利亞NAFDAC - 尼日利亞律師事務所 - 尼日利亞律師. 在尼日利亞的商標律師, 在尼日利亞專利代理人, 在尼日利亞移民律師, 知識產權律師事務所在尼日利亞, 金鐘, 航運和海事律師事務所在尼日利亞. Lex Artifex LLP, 律師事務所在尼日利亞, 先後引進殲&d服務台，協助參與製造的個人和公司, 分配, 出口, 並在滿足尼日利亞國家局食品和藥品管理控制的各項要求監管食品和藥品進口 (“NAFDAC“). 本刊物給出了由NAFDAC食品，藥品倉庫檢驗監管指引快照. · The letter of application must include the names of the chemicals, 化學品和用途的量的量，化學製品旨在. · The Application must be signed by Managing Director/CEO or the Technical Officer of the company. 2. Certified true copy of Memorandum and Articles of Association of the company. 5. Evidence of the appointment letter, 錄取通知書, 和技術人員證書. 6. Standard Operating Procedure (SOP) 用於存儲/處理由總經理/ CEO或技術官員與名稱和標號正式簽署化學品. 7. Evidence of payment for Warehouse inspection. 8. Evidence of payment of rent for a minimum of one year or evidence of ownership in case of companies using their own warehouse. 通過任命 法定代表人和律師, 萊克斯ARTIFEX LLP可以幫助食品和藥品製造商, 出口商, 進口商和分銷商在提交申請和所有與尼日利亞有關當局所需的文件. · Warehouse Inspection as scheduled. · The timeline for processing is suspended when there is a compliance directive and shall resume when the applicant complies and communicates compliance with the Agency. · Warehouse Inspection is conducted annually for importers and marketers of restricted and agrochemicals. 它是進行一次 2 年進口和工業市場營銷人員和實驗室化學品. · Timeline stops once compliance directive is issued. 1. A technical officer with scientific background with a minimum of Ordinary National Diploma; OND或等值負責解釋和討論確切的化學性質和使用依據申請提交的商品. 他還負責對化學品的處理和儲存. 2. The Technical officer must be present during inspection of facility and must be the officer whose passport photograph was submitted. 3. No technical officer is allowed to represent more than one company (包括子公司). 4. 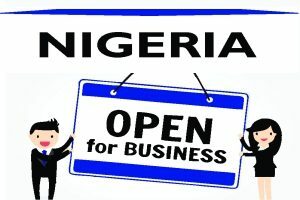 Companies with foreign technical officers must submit work permit. 2. Applicants shall have a warehouse that will be inspected for adequacy and appropriateness for the storage of chemicals. 3. The facility provided will depend on the nature of the chemicals stored. 4. Commercial warehouses are not allowed for storage of restricted and agrochemicals. 1. The facilities provided will depend on the nature of the chemicals in the warehouse. 需要一些化學物質在受控存儲 (低於環境) 溫度以保持他們的有效期效力. 2. Companies that intend to store thermo-labile (熱敏感) 化學品應提供冷室/冰箱, 取決於特定的溫度冷箱或空調房間需要. 3. Other facilities required for chemical storage include adequate illumination, 通風, 提供托盤, 急救設施, 個人保護設備, 和滅火器. 4. Chemicals should be stacked on pallets away from the walls with adequate space for movement within the warehouse. 狀態標籤應使用相應. 5. Food grade chemicals or pharmaceutical raw materials should be separated from industrial chemicals. 6. Expired, 過時的或損壞的化學品應分開, 隔離, 記錄並報告給局. 7. Flammable chemicals should not be stored close to sources of ignition or sparks. 8. Chemicals that can be easily oxidized should be kept away from oxidizing agents. 1. All Chemicals should be properly labeled according to the Globally Harmonized System (GHS) 化學品的標籤和分類的. 2. Chemicals should be labeled in English and should include but not limited to the following-Brand/Generic name, 批號, 生產日期和失效日期, 廠家名稱和地址, 危險符號, 出生國家, 淨含量/重量, 粘性, 比重, 易燃, 百分比純度. 1. Personnel are to be provided with nose masks, 手手套, 護目鏡, 工作服, 安全靴. 2. Appropriate water supply should be in place. 3. First aid box and fire extinguishers are to be placed at strategic locations. 4. Condition monitoring devices are to be provided for sensitive chemicals. 8. Disposal records of expired chemicals should also be kept with a certificate of destruction issued by authorized agencies. 萊克斯ARTIFEX LLP是廠家的窗口, 出口商, 和監管食品和藥品尋求在尼日利亞許可和尋求進入尼日利亞市場經銷商. 我們是一個一站式服務 在尼日利亞法律合規和盡職調查服務. We provide clients with legal guidance through every step of the trade process and beyond. 要了解更多關於萊克斯ARTIFEX LLP公司的F&d服務台以及我們如何可以幫助您與您的食物和藥物 由尼日利亞NAFDAC倉庫檢查, 請發郵件: lexartifexllp@lexartifexllp.com; 呼叫 +234.803.979.5959. Lex Artifex LLP., 提供了廣泛的向客戶國際上和尼日利亞及時和具有成本效益的綜合法律解決方案. 該公司的業務領域包括企業和商業法, 法規遵從, 盡職調查, 房地產, 合資企業, 兼併 & 收購, 投資諮詢, 稅收, 公司秘書服務, 債務追討, 運輸 & 海上, 移民, 知識產權, 遺產規劃和遺囑認證, 和就業法.